It isn’t uncommon for rescues to help each other. Big Dog Haven had more dogs than they could handle and called on the Friends of Oak Ridge Animal Shelter (FORAS), who stepped in and relieved them of three puppies that had been dumped in a ditch. Then, FORAS called on the Animal Wellness Foundation for help on placement. Before being transported to a New York rescue, the pups needed a few vet services, boosters, etc. These poor puppies had been so hungry that they had eaten rocks and ash. They are now in rescue and on their way to better lives. We have seen the Friends of Oak Ridge Animal Shelter (FORAS) take on a huge endeavor to place and rehabilitate feral cats that come to the shelter. Some have turned into great pets; others are great barn cats. One FORAS member and kitty rescuer has paid most of the fees for the barn cats and placed them, but she asked for help with three, Cinder, Jesse, and Ratatatcat. 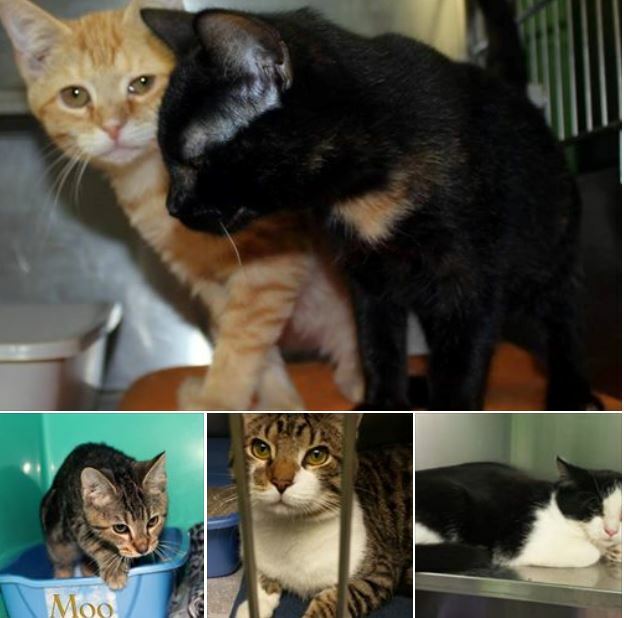 These three kitties would have little chance of survival without financial assistance. 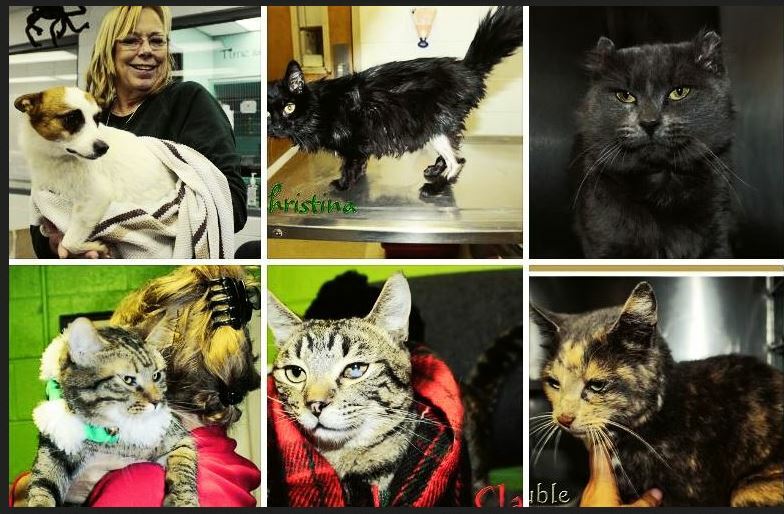 The fact is most people aren’t going to pay a $110 adoption fee for a feral cat. HPAN paid $225 to have the cats combo tested and is paying for remaining vet services if the tests are negative. This will ensure they are adopted to great homes with barns. Every life matters… every one. 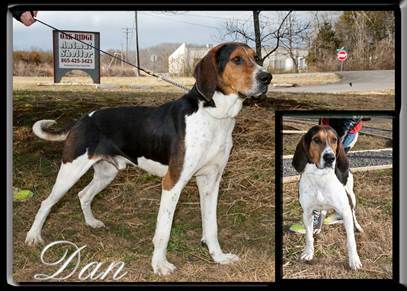 Oak Ridge Animal Shelter dog, Dan, was diagnosed with heartworms. 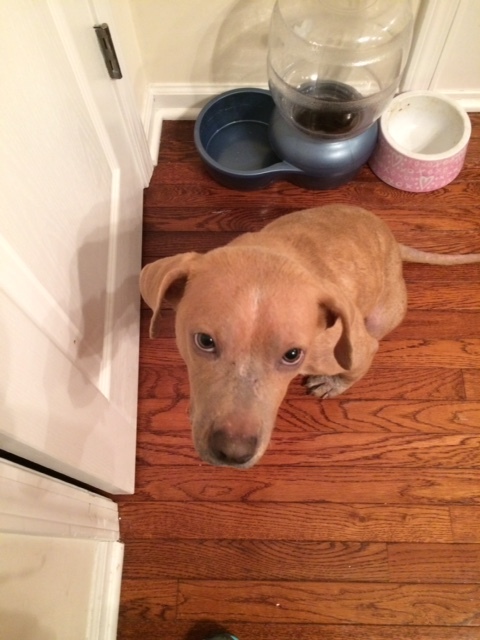 The Friends of Oak Ridge Animal Shelter (FORAS) asked if we could help sponsor Dan’s heartworm treatment and boarding. We were glad to oblige! He is recovering at Misfit Island Boarding in Strawberry Plains. As soon as Dan has a clean bill of health, he will be available for adoption from the shelter, or he will be transported to a northern shelter where adoption rates are higher. 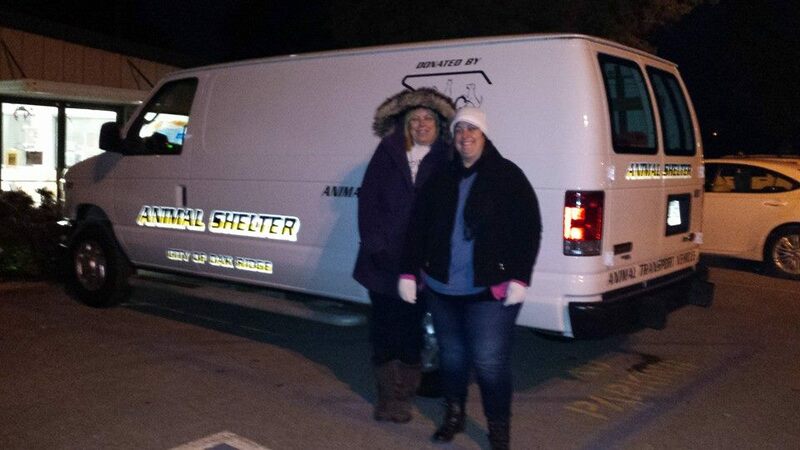 The animal transport van owned by the Oak Ridge Animal Shelter, donated by the Shelter Animals Rescue Group, has no insulation where the animals are carried. This means that northern transports are very cold in the winter months and very hot in the summer months. The AC does not reach the back of the van where animal crates are stacked. The fee to insulate the van will cost just under $200. When the Friends of Oak Ridge Animal Shelter asked us to sponsor this project, we were happy to do it! Pictured are two FORAS members with a loaded van and headed to a no-kill shelter in Chicago earlier in January. It was 7 degrees that day in Chicago, and the animals were freezing. Insulation will be installed in early February. Problem solved! 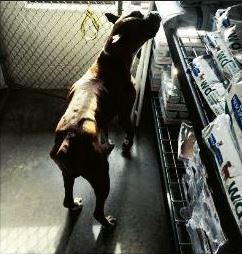 Dolly came to the Oak Ridge Animal Shelter several weeks ago very sick-too sick to make it in a shelter environment. She was bloated with parasites, severely malnourished, and had a terrible skin infection. Nothing the shelter’s vet could do for her was helping. A volunteer with the Friends of Oak Ridge Animal Shelter (FORAS) agreed to take her into foster care and try to put her on a path of wellness, increasing her chances at adoption by giving her medicated baths and antibiotics. Dolly fell ill recently and was rushed to UT Veterinary Clinic at 4 a.m. UT gave her IV fluids, medicine, took blood, and shot some x-rays. When she started to perk up, UT referred her back to Oak Ridge Veterinary Hospital, where her test results were evaluated. HPAN contributed $250 toward her medical bill. Dolly likely had a reaction to her medication, and she is doing much better. She is ready for her forever family. The Friends of the Oak Ridge Animal Shelter (FORAS) doesn’t hesitate to pull a sick or injured animal from the shelter and get them the care they need. The current amount owed at Oak Ridge Veterinary Hospital is usually over $1,000, and services are paid by shelter volunteers and supporters. We recently paid $700 to help with treatment of seven sick dogs and cats. Lowering the balance gives FORAS the freedom to assist more shelter animals. We were recently approached by the Friends of Oak Ridge Animal Shelter (FORAS) asking for assistance with funding to purchase the test kits needed for feline disease (FIV/FELV). Each test costs $20, so we felt that sponsoring twenty tests would enable the FORAS to better network for the cats into loving homes. Additionally, if tests come back positive, the shelter will be able to deal with and stop the spread of disease.